Today, your body must work hard. Swimming, yoga, weight training — anything but lying on the couch. 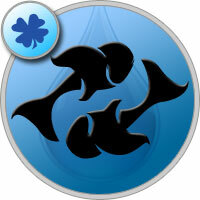 Pisces health horoscope advises to refrain from quarrels and scandals. In the morning, go for a walk in the park or swim in the pool: your body will receive a huge charge of positive and vigor. In the period of the passage of the moon at the sign of Scorpio is likely to catch a cold. Try to dress warmer and avoid moisture. Take care of strengthening the immune system, drink more fluids and take vitamins.